Nezîr Ocek was born in 1961 in Xumar (Dalbastı), a village in the town of Şaxê (Çatak) in Wan (Van) Province. He attended primary and secondary school in Van and completed his high school education in Cizre. Afterwards, he headed for Syria, where he studied in the Damascus Library and graduated from the Department of Arabic Language and Literature. In 2002, he received Kurdish education at the Kurdish Institute of Istanbul. In 2004, he taught Kurdish grammar and literature in a Kurdish language course that was opened officially in Van. 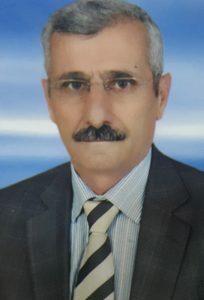 In 2006, he played a part in the foundation and administration of Kurdî-Der (The Kurdish Language Association) in Van, and has been involved in the field of Kurdish language since then. Nezîr Ocek currently lives in Van and continues to be active in this field.